With over 50 years experience in the window cleaning industry. Gaze A Glaze Ltd offers cleaning services to commercial, retail and residential customers in London. 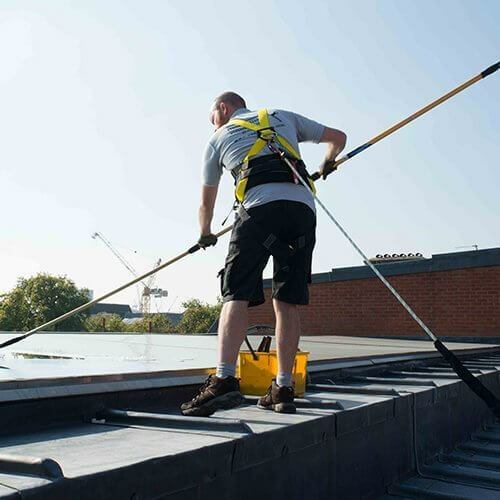 Established in 1966 we have over 50 years of experience and provide a high quality cleaning service using safe working practices at an exceptional value for money. Our main business is window cleaning and we offer all techniques and forms of access for commercial, retail and residential customers. We work for a wide range of commercial customers including multi-site retailers, property management companies, offices, embassies, hotels, pubs and shops and offer high quality traditional window cleaning for the outsides on the ground floor and all insides, along with a Reach & Wash water-fed pole service up to 20 metres and all forms of access to clean windows above this height. For retail customers we provide a unique Scooter Service which has been specially designed for the high street. By using scooters to clean retail sites we keep our overheads low and means we can offer you a high quality clean at a low price. We clean over 600 residential customers properties each year and have the knowledge and ability to clean any hard to reach window, whether it be an awkward skylight, top of a conservatory or windows that are difficult to access. We use the best quality Reach & Wash (Ionic) equipment on the market which keep the outsides of the windows clean for up to three months. 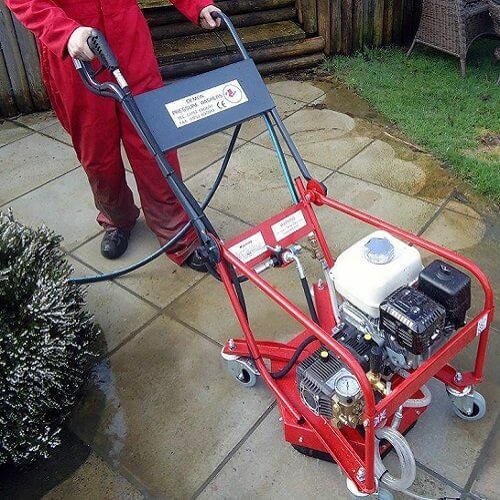 The other services we offer are carpet cleaning, gutter cleaning (SpaceVac), high pressure jet washing, pigeon proofing, eyebolt safety installation and testing. In striving to achieve the highest quality of cleaning for several years we have achieved and maintained the Safe Contractor accrediation, CHAS Health & Safety accreditation and the ISO 9001:2015 Quality Control accreditation. We are proud to offer a reliable and high quality cleaning service, which uses safe working practices and is extremely good value for money. We have achieved Safe Contractor accreditation (the private sector safety standard) and Contractors Health & Safety(CHAS), the government & local council recognised accreditation for safety. We have retained the consultancy support of Peninsula Business Services Ltd to ensure that legal requirements are in accordance with Employment Legislation and Health & Safety at work legislation are complied with. Does your property require specialist cleaning services? At Gaze A Glaze we will customise our service to your requirements and budget. Contact us for commercial window cleaning, residential window cleaning, gutter cleaning, high pressure jet washing and pigeon proofing services.